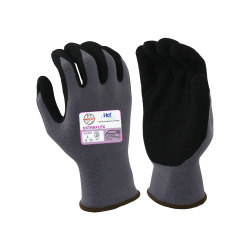 X-Large Black Nitrile Work Gloves | U.S. Plastic Corp. These nitrile work gloves are ideal for automotive assembly, general assembly, maintenance, warehousing and in the handling and assembling of small oily parts.